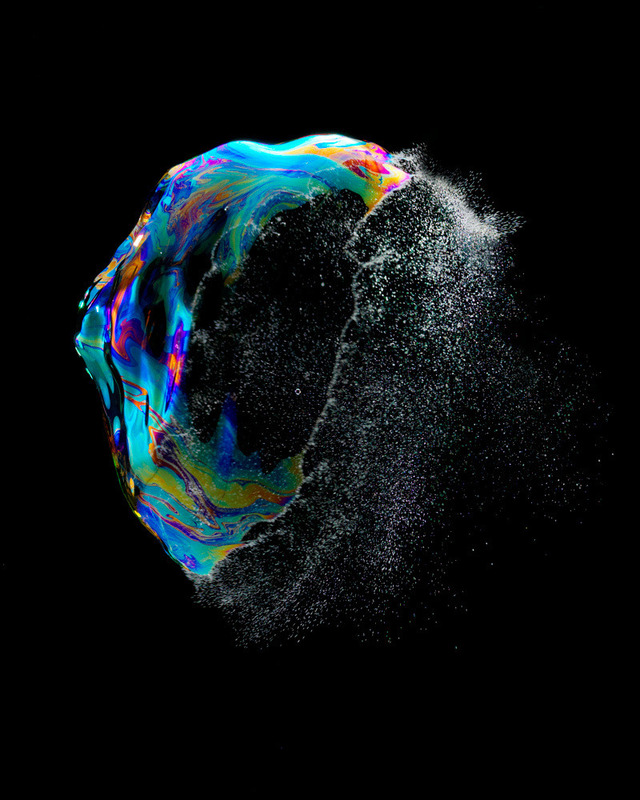 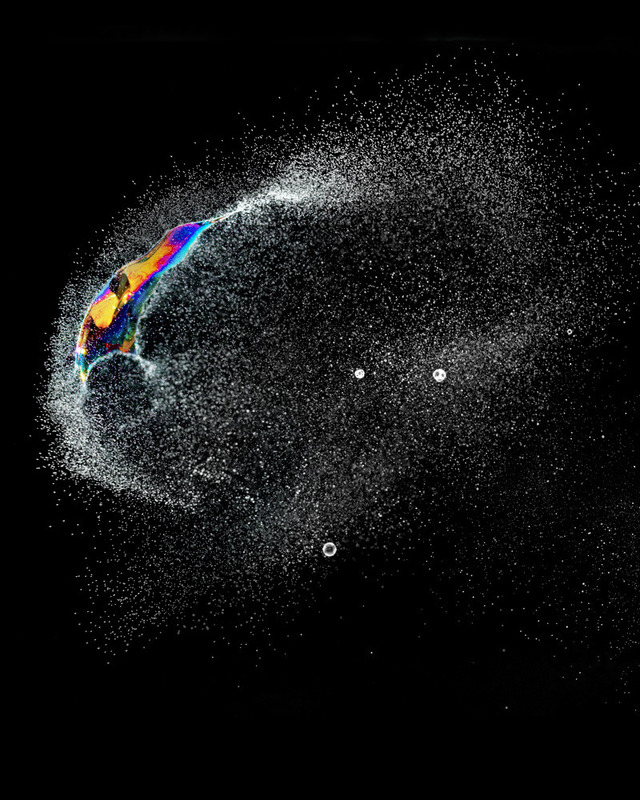 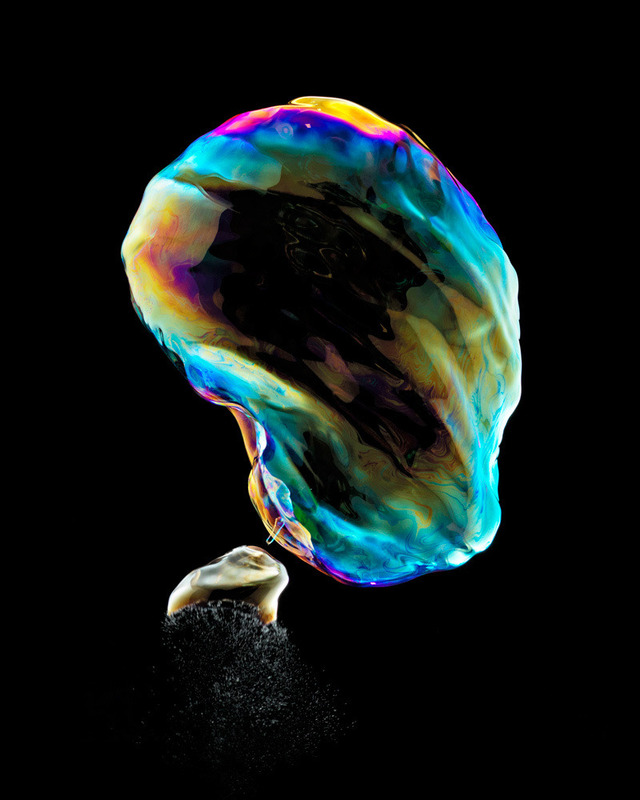 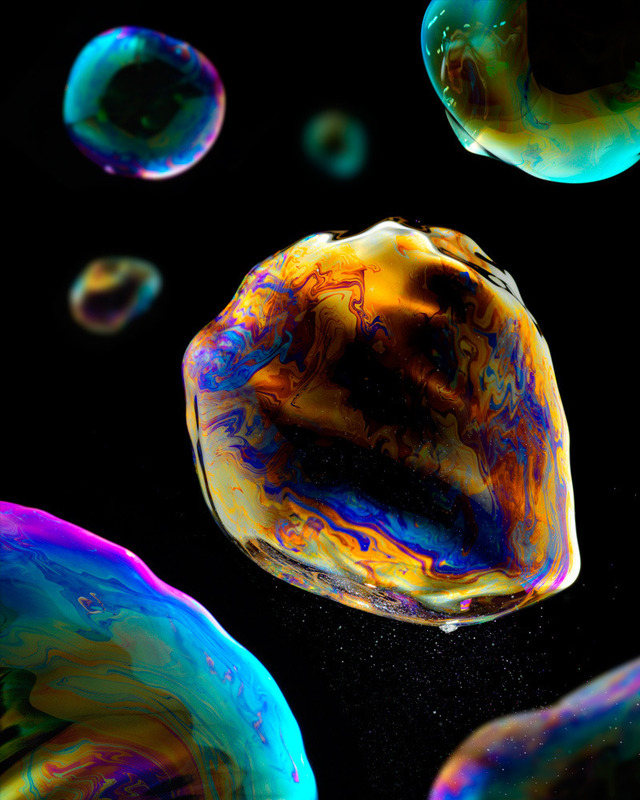 Captured with High Speed Flash Units, the images show soap bubbles in the moment of bursting. 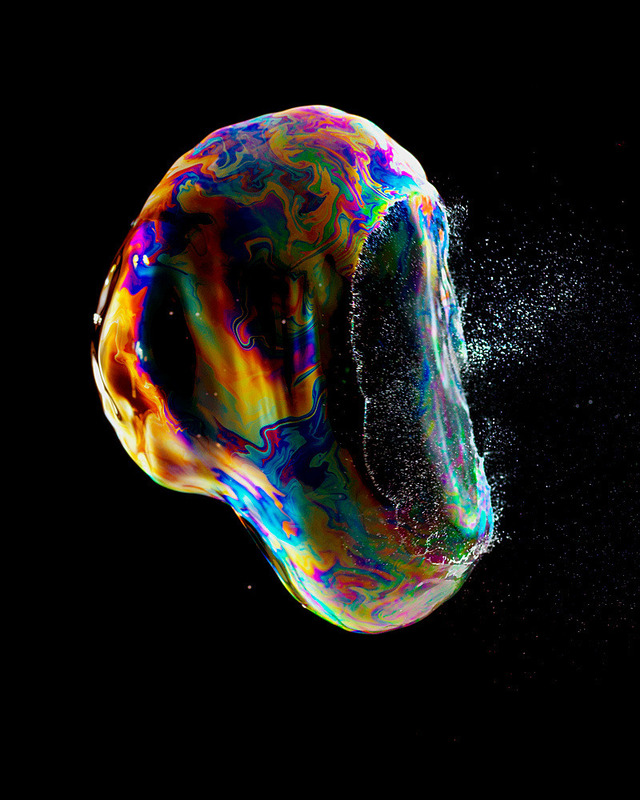 In the first few images, you can still see the bubbles intact, few instants after their creation. 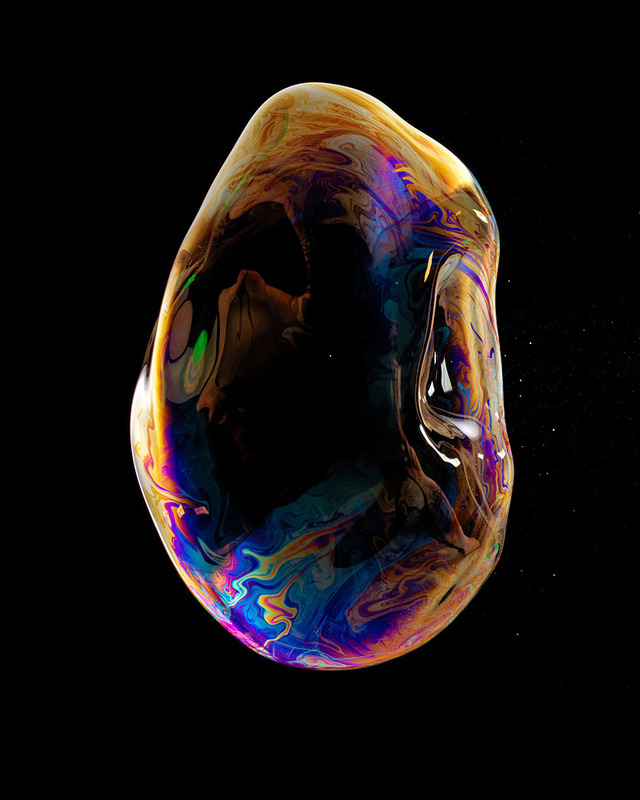 In the last pictures, you see how the thin film of soap starts to dissapear, leaving behind countless tiny drops of soap water.